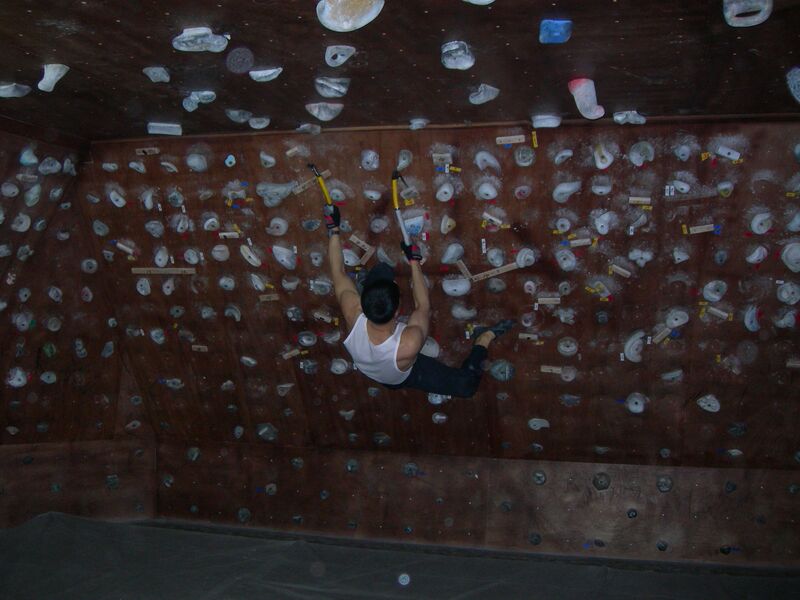 indoor drytooling route-- might not want to sit/boulder too close. . .